For this profile I spoke to Greta Rumsby, founder of GretaKate, a bridal designer based in Norwood, Adelaide. My love of intricate fabrics and adornments inspired the evolution of our bridal brand, GretaKate. With a contemporary take on traditional, we focus on effortless and romantic bespoke gowns all lovingly hand-crafted in our Norwood showroom. How long have you been helping Adelaide brides find their perfect dress? GretaKate was born in 2010, but evolved from casual wear to formal wear and eventuated into Bridal wear in 2014. 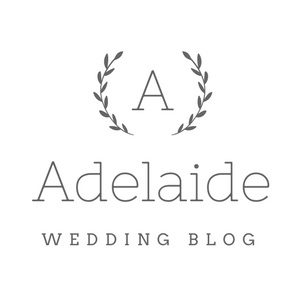 Can you explain the collections you offer Adelaide brides and give the readers an indication of the range of prices? We have produced four bridal collections, which are launched at the Adelaide Fashion Festival every year in October. All the gowns are made to fit and start from $2800. This is not the only option we provide brides-to-be. We also offer a couture line, where I can design something specifically for that client taking into consideration her venue, body shape and overall vibe of her wedding day. We source fabrics all over the world in order to produce something unique for each client. This process start at $3500. What do brides need to know about ordering a dress? And what is the typical timeline? Our gowns are all produced in our Norwood studio, so this allows us to be flexible in the construction and tweak the design if need be. It also allows us to get the perfect fit from the beginning without any extra alteration fees. We require a minimum of 6 months notice, but most of our brides come about a year in advance. Of course! We see every body shape and have lots of experience on what suits what shape best. Most important thing is that the bride feels beautiful in whatever she chooses to wear. What makes GretaKate a good choice for brides looking for their wedding dress? I believe that the process of having your wedding gown made is such a special part of getting married and something I hope all our brides remember fondly. We create a fun and personal experience where I want my brides to be part of every step. I think I am incredibly lucky to be part of the day most girls dream about…her wedding…. it’s wonderful sharing in my clients’ excitement and I love that GretaKate can be part of that.